Nowadays with everything technology offers, creating an excellent E-book design shouldn’t have to be so hard; we already go through enough work when we write our best sellers so why should an E-book cover take just as much effort? For some time we also had that same thought until we created the perfect tool to solve this problem and let us concentrate more on the creating rather than the worrying. Placeit’s easy to use 3D book cover maker is an essential tool you’ll want to have by your side when planning your E-book marketing strategy, this book mockup tool can help you create beautiful imagery with your book cover in just seconds! Imagine how much time you will get back to focus on your writing instead of searching for PSD files or complex design software. 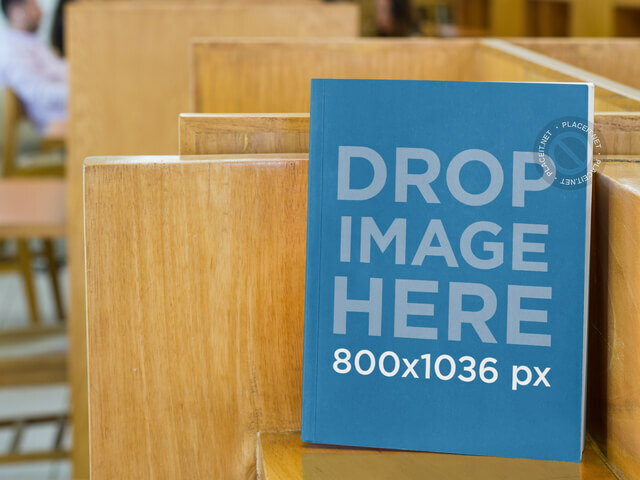 Look at this PNG mockup of a book standing in angled position, you can see the complete E-Book cover template from above. This would be a great shot to try out your cover illustrations and see how your book will look like in real life. Tip: Go for a transparent background if you want to test out different types of scenarios where your book could fit. Transparent PNG backgrounds make for a more versatile advertising campaign. 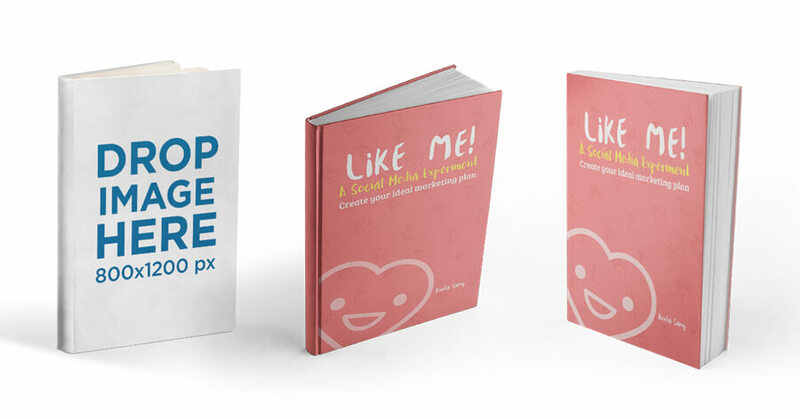 Find all the PNG book mockups you need on our book mockup section over at Placeit. What are you waiting to upgrade your marketing communication strategy and boost book sales? Selling E-books online? Have a look at this Guide for Making More Sales with E-book Mockups and Videos. Is your book Amazon Kindle friendly? Then display it with our 3D book cover maker by using a cool Kindle mockup, this way you can create advertising that includes your different available devices, can you read it on your iPhone? Add an iPhone mockup too! 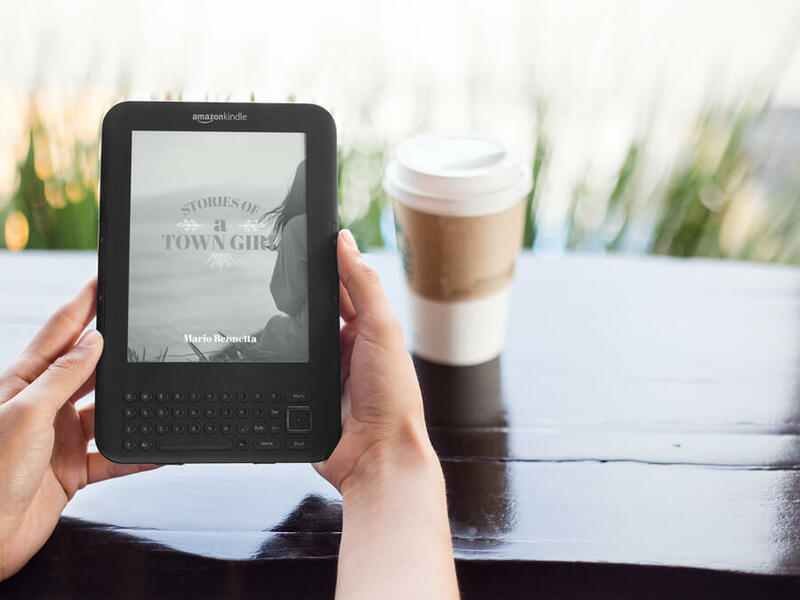 Tip: Use more than one cover mockup to create a whole set of different titles or different versions available to the reader, for instance, using a paperback book mockup and a Kindle cover mockup to show your readers they are available in both formats. Make your next best seller stand out from the rest with an incredibly photorealistic mockup featuring your E-book design in a bookstore! You won’t have to wait to produce a photo shoot to design a book cover in time for your release. You can create amazing mockups for your prelaunch announce in your social media networks. Give this book mock-up a try and see why Placeit’s 3D book cover maker is your best ally in E-book marketing. Tip: Go high-quality with your downloads, you may not judge a book by its cover but if the cover doesn’t have the best image resolution there really might not even be anything to judge. 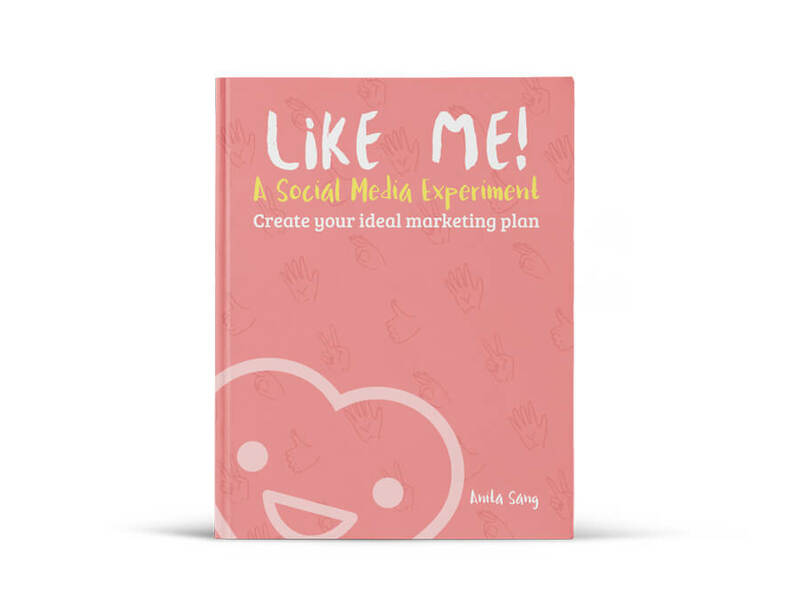 Get pixel perfect visuals that will boost your E-book marketing strategy. Discounts, discounts, discounts! Who doesn’t love discounts? Leveraging the psychology of discounts is a must-do for any kind of business. Now you can generate Images featuring a Book Advertisement which you can use to power-up your Facebook Ads, your Email Marketing Strategy, your Twitter Ads and make your Facebook Page and Website look great. Check out our guide on how to promote your E-books online and off for more examples. Hooked? See the full Book Ads gallery by clicking the button below! Sky’s the limit, don’t be afraid to experiment with different scenarios for your E-book, your readers will appreciate content that connects with them or even takes them to a whole new world; the key to successful E-book promoting relies on knowing everything about the people who will actually read your book and even share it. Our 3D book cover maker is just one big step to consider during the strategy, the real work starts once you have a beautiful visual asset that speaks out to your readers. So what are you waiting for? Create a 3d book mockup for your book and get it out there! 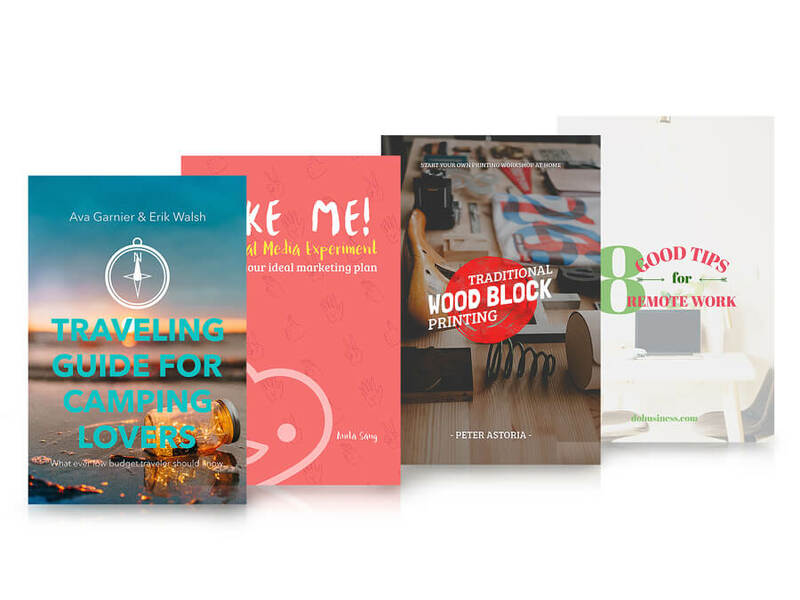 Pro tip – Placeit has an unlimited subscription that gives you unlimited access to all of their book cover makers! That means you don’t have to settle for just one and you can test out new ideas without breaking the bank! Don’t Have Book Cover Artwork Yet? No problem, you can use our book cover maker to design your next great book cover. We’ve made it easier than anyone else to generate high-quality book covers that authors can upload and print with ease. Here are some examples of premade book covers to inspire you. Also, learn how easy it is to create your own E-book cover with this E-Book tutorial. Looking to Promote Your E-book? It's incredibly easy to make a 3D book cover with Placeit's mockups. These mockups are a brilliant way to promote and sell your books! These mockups add the context your words need to draw potential customers in. Take advantage of Placeit's hundreds of different mockups and use the one that's perfect for you. 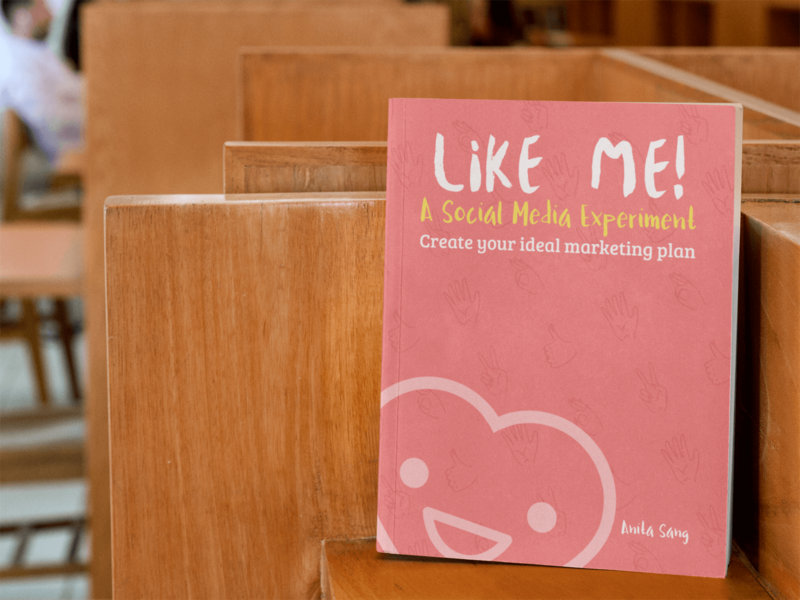 "Thanks to Placeit mockups now I have a realistic cover to boost my sales"
The best Facebook Ads for Authors guide. The #1 walkthrough guide with images that shows how to set up effective ads and sell more ebooks. The Easiest Ebook Cover Software: No Download Needed! Try our free online ebook cover software! The best book cover maker to create your own Kindle cover and ebook design in seconds, see for yourself! Create professional 3D Ebook Covers for free with Placeit. Learn how to make 3D Ebook Covers in a matter of seconds. 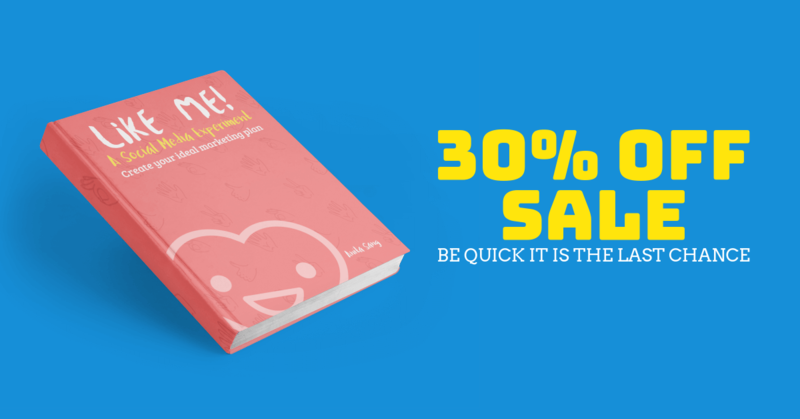 Want more sales, read this guide.